Classic Cabinetry caters specifically to the client who wants CHOICES when designing, remodeling or building a home. When it comes to kitchen cabinets or bathroom vanity cabinets, we understand that desires, needs and styles are uniquely varied…so we provide multiple options in function, features, finishes, and price ranges for our customers. Our professional team works with your project from design all the way through installation. We’ll listen to your needs and ideas, then custom-design a living space built around the the way YOU live, delivering precisely what you had originally envisioned for your kitchen, bathroom, or media center. Want to know more? Browse through our GALLERY. We use no “canned” photography in our ads: all of the cabinetry pictures you see on this site feature original, exclusive cabinetry designs by CLASSIC CABINETRY. New Blue is a full-service construction company with in-house divisions of carpentry, construction management, architectural woodworking, paint and fine finishing. New Blue specializes in new construction, full renovations and additions for residential and light commercial projects. Cross Cabinets is a custom cabinet shop, specializing in new home cabinetry and cabinetry for remodeling projects of all sizes. We have made many additions to our facility and in our manufacturing technology over the years to offer the best in cabinetry. We strive to serve our customers and our builders with a beautifully crafted product that is delivered and installed as expected and on time. I'm a Chattanooga-based interior designer with an affection for beautiful interiors and helping clients love where they live. I believe that for a design project to be successful, it should be a collaboration between the client and designer. Therefore, my passion is to create a space that is comfortable, functional, and beautiful while reflecting the client's vision. As a Certified True Color Expert, I can make the selections process easier and more affordable. I believe in educating my clients and helping them make appropriate purchases. I'm eager to help you make your home a place where you can spend time with those you love, and in a space that you love too! Kim L. Woods Construction, Inc. Since 1987, our family business has provided an enjoyable custom home building experience to our clients in Northwest Georgia. Kim L. Woods Construction understands the key elements in deciding to build a custom home. Our hard work, skill and determination along with the client’s input make their custom home a reality. Come see how we can make your custom home dreams come true! 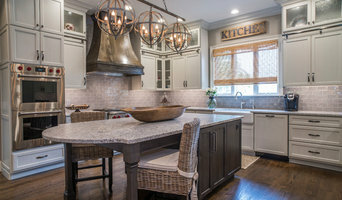 Curtis Laney & Laney, The Design Company, Inc.
Curtis Laney & Laney, the Design company, specializes in high-end interior design and decor for custom-home construction and renovation projects in selected markets around the country. From city dwellings to mountain lodges, from singular spaces to whole residences, from space planning to installation, the studio’s award-winning designers - James C. R. Laney, ASID, and Peggy Curtis Laney, ASID - offer a comprehensive range of personalized services and individual solutions to fulfill each client’s unique design goals. 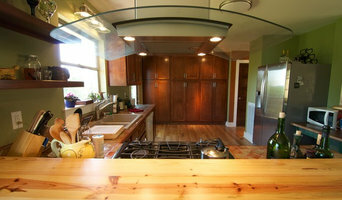 We offers Affordable custom kitchen cabinets and custom wood furniture for Commercial & Residential cabinetry. Interior Design and Remodeling Inc.
We sell high end semi-custom kitchen cabinets and window treatments at wholesale prices to the public. We can measure and install kitchens and blinds within a 7 to 10 day period. With over 40 years of experience in the industry, we are passionate about customer service and providing the highest quality products for the most competitive prices. We offer free home design service and price quotes. Call today! 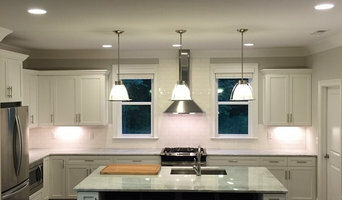 RSR Kitchen and Bath provides high quality workmanship by bringing experience and professionalism to your project. RSR provides high quality cabinets at an affordable price. *Authorized Wellborn Cabinetry Dealer* BarrWood Cabinets Atlanta, GA is your one-stop shop for kitchen, bath and closet cabinets and all the beautiful, creative cabinets you want in your home. Whether you are looking to remodel your home or you are building from the ground up, we have all your cabinet needs met at prices you won't find elsewhere. BarrWood Cabinets is a family-owned kitchen cabinet supplier. Our family works with your family to provide you with cabinets you’ll be proud of and cherish for years to come. It's not just a house – it's your home. We work closely with you to make sure the cabinets you choose for your home are everything you need in form and function! Quality and style come together with BarrWood Cabinets. Maxwell House Interiors is a full service interior design firm with over 25 years design education and experience, covering all the needs of your home. Whether you need a consultation, full design makeover or you are building from scratch... we are here to help. We strive to give you something we like to call Simple Elegance... a warm, comfortable, inviting and beautiful home to live in, raise your family in, and entertain in. We strive for your home to reflect you and your family and not a cookie cutter designer look. We love to incorporate children's art projects and family travel souvenirs and artwork into your design. Bailey Walton Design is a full service residential and commercial interior design studio in Chattanooga, TN. Bailey aims to create fresh, modern, and timeless spaces for her clients that fit their needs and enhance their quality of life. Our style is characterized by abundant natural light, clean lines, natural textures, and playful use of color and pattern. For commercial interiors, Bailey leverages her breadth of graphic design, finish selection, furniture selection, architectural interior design, and workplace strategy experience to create beautiful, functional, efficient, and comfortable branded environments that support the client's goals for their brand message and work style. Bailey studied Interior Design at the top ranked University of Cincinnati's College of Design, Architecture, Art, and Planning. She has years of experience designing large commercial and multi-family residential projects in the Washington, DC area. In 2014, Bailey moved to Chattanooga, Tennessee and has been focused on high-end residential projects in the southeast market. She is an Allied member of the Tennessee chapter of the American Society of Interior Designers (ASID), a LEED Green Associate, and is currently studying to take her NCIDQ exams. Bailey is an adjunct professor at the University of Tennessee at Chattanooga's Interior Design program. She teaches Survey of Architectural History and enjoys sharing a love of history and storytelling with her students. Cabinets and cupboards are crucial organizational components of any kitchen or bathroom. 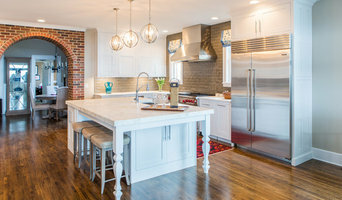 Yet, for such an essential element, homeowners often compromise on their cabinetry, settling for cabinets that neither complement their style or meet their needs. Custom cabinetmakers in Chattanooga, TN has the transformative power to create a practical yet personalized space unique to you by creating custom cabinets that have all the storage elements you need as well as the stylistic ones. Custom cabinets have the benefit of being designed specifically for you in terms of both appearance and usability. When it comes to stock cabinetry, you are limited to generic, cookie-cutter designs, dimensions and colors, which isn’t ideal for outfitting a uniquely shaped kitchen or for showcasing your personal style. 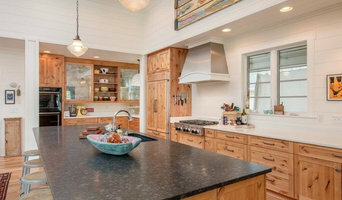 Custom cabinets are solely crafted based on your specifications and needs, and while they are pricier than pre-made pieces, you’ll receive a higher level of craftsmanship and durability when you work with a professional on Houzz who specializes in custom cabinets in Chattanooga, TN. Create an ideabook on Houzz and save examples of the custom cabinets you want — this will help your Chattanooga custom cabinetmaker get on board with your vision and make your design a reality. Additionally, if you are undergoing a remodel, keep in mind that a blueprint needs to be finalized prior to any kind of cabinet building and installing; given the one-of-a-kind nature of a custom cabinet, room dimensions need to be completely finalized before any work can commence.